100% biodegradable and compostable all natural sanitary pads made from banana fiber. Currently we are available all over India. We get at least 12 emails a week from other countries inquiring about Saathi pads availability internationally. We are already working on international partnerships to scale the business & pitched in events. 84% of women lack access to pads, which exposes them to risk of infection. For the rest of women, current pads are full of plastic and chemicals, which degrade in 600 years & generate CO2 & toxic fumes. The major issues urban women face due to commercial pads is itching, rash, irritation, infections. The key problem Saathi addresses is to provide a hygienic, effective alternative to improve the lives of these women in urban and rural areas without creating any negative environmental impact. 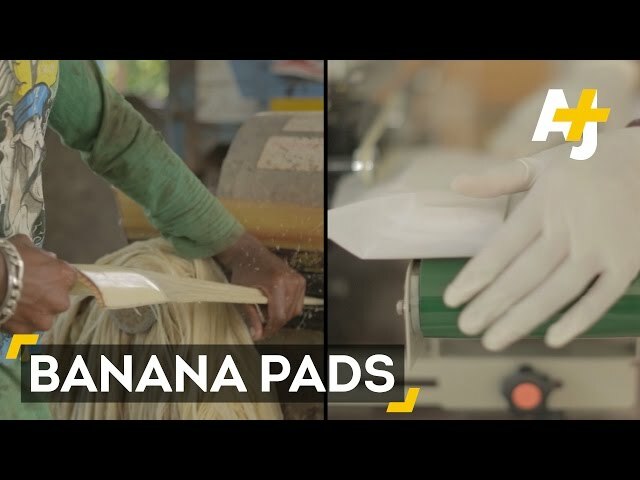 We have developed 100% biodegradable & compostable pad made from banana fiber. Our natural pads do not contain bleach or chemicals to minimize skin irritation and release of toxins into the environment upon disposal. Also they more comfortable and safer. Our pads degrade within 6 months of disposal, 1200 times faster than conventional pads, & eliminate the need for incineration, reducing CO2 production. Our goal is to create hygiene products that are good for the body, environment & community. We have two types of customers Middle & upper class urban women NGOs that purchase our pads to distribute among women in the villages in which they operate Saathi pads are accessible to all women with our two-pronged pricing scheme. Our business model is to sell pads at a premium in urban India and sell our pads at cost in rural India. Our mission is to create hygiene products that are good for the body, environment, and community. Not only are our pads chemical and plastic free, they are also supporting fair trade for farmers who sell our raw materials and the underprivileged women who work in our factory. Few companies addressing the issue of access to pads by having a model of distributed manufacturing. This is not effective because though it provides employment in rural areas, it doesn’t maintain hygiene or quality of the product. There are also a couple companies working on alternative health centric pads, some have an organic cotton top layer, some have ayurvedic additives or anion strips. However, they aren’t all eco friendly, plastic or chemical-free & many are 2x our price. Some are using cotton as the core absorbent, which when farmed uses 6x the water and 10x the fertilizer as bananas and do not provide employment to local people as they are imported. They don’t provide a complete solution to Health, Environment & Economy. Also due to lack of proper awareness about biodegradable pads among customers, some are using oxo biodegradable plastic which is more harmful than plastic because it degrades into micro particles which can never be recovered from the Earth.